I am no expert in foreign policy but have as a global Indian keenly followed of Narendra Modi and BJP’s politics over one-and-a-half decade, I have just tried to speculate at what could be the basis of India’s relation with the outer world under Modi government. After Narendra Modi’s rally in Arunachal Pradesh, I can safely conclude that with China it would be practical talks as a self-respecting nation and kind of talks which happens between two equal powers. We might see resolution of Arunachal issue and clear recognition of Mc-Mohan line on the priority agenda. Modi will probably leverage Tibet issue and try to get China out from Aksai Chin area. It could be tough retaliation based approach if Pak doesn’t stop its terror activities against India. There can be great advancement in normalization of Indo-Pak relation if Pak sheds its “bleeding India to death” mindset and puts it’s own house in order. It could be a tough stand on illegal migration into India. He would also want to settle boundary dispute with practical give & take approach. Modi may aim at becoming the development man for South Asian Region and may emphasize on common cause against poverty with Bangladesh. He would focus on mutual development projects in Oil and Gas, Ports Development and in Retail Sector. Modi could insist on territorial integrity of Sri Lanka but will emphasize on giving political autonomy to Tamils in Sri Lanka. He may aim at making a common cause of development of tourism sector with Sri Lankan Government. He may also propose of making a road link by constructing Shri Ram Setu bridge to develop people connect and tourism. Modi could insist on development and mutual respect based ties with Nepal. He may try to remove China’s influence in Nepal by doing joint development project in education, dairy, poverty alleviation and tourism sectors. He may propose a Buddhist Tourism circuit to rekindle traditional ties. Modi led government could invest heavily in Infrastructure and social sector. Afghanistan will be a key strategic balance against any evil design of Pakistan. Narendra Modi, in his speech in Arunachal, made a great point regarding Hindus facing trouble in the world, where they’re in minority. He said his government will welcome Hindus facing atrocities in their native land as India is natural choice for them to come and settle. He made this comments for Pakistani, Bangladeshi and Fijian Hindus facing atrocities in their land. I personally would want him to expand this definition to some other minorities such as Ahmedias, Sikhs & Christians in Bangladesh and Pakistan. 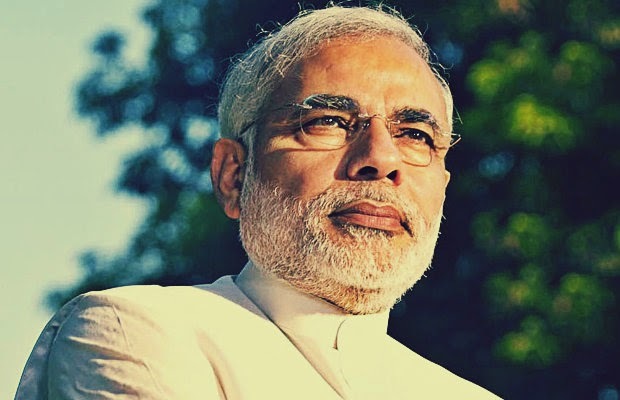 Narendra Modi may focus more on building relation with EU countries than US. Technical collaboration with EU will happen in area of Wind Energy, Industrial machineries and Nuclear power. He might visit EU countries first than US. Russia and erstwhile Soviet Union are proven friends of India. Modi is known to support old trusted friends. So with Russia it could be building on old relationship and joint investment in hi-tech defense, space research and nuclear energy sector. His major foreign policy focus would be to get India a permanent place in United Nations Security Council, he will count on Russia and US support to achieve this. With US, Modi will insist on partnership of equals and make US recognize India’s interest first. He won’t toe US line on international forums unless it suits India’s interests. He will leverage India vis-a-vis China. Modi may treat Japan and South Korea as the most trusted partner in terms of Infrastructure Development and revival of Ship-building sector. To counter Chinese threat, he may propose to go for more joint military exercises. He will always try to keep China guessing about his next move by doing one or another event with Japan and South Korea. With South-East Asia, it would be rekindling of Look East policy of Atal Bihari Vajpayee and strengthening civilizational ties between SE Asian countries and India. With Africa, he would try to outdo China by emphasizing on old cultural links and become Africa’s development partner by giving and taking solution for common problems such as poverty alleviation, drinking water, electricity and use of IT. With Middle East, he might try to balance Saudi Arabia and Iran. He might have a tilt towards Iran over Saudi Arabia. With increase in India’s international stature, we might be expected to play very active role in Iraq and Syria stabilization as locals may prefer an Indian presence than western or Russian presence. Modi might ignore perceived domestic Muslim population and left concerns, and might go for pragmatic approach to secure India’s interests. With Central Asia and former Soviet Union Countries, focus would be more on defense and cultural engagement. Israel is going to be a major partner in terms of anti-terrorism, agriculture and advance defense technology specifically anti-missile shield development. Modi might try to get Israel as formal major ally, discarding the perceived concerns of Muslims in India and use Israel to tweak US actions in India’s favor. He might try to develop deeper relationship based on cultural, sport exchanges and use of natural resources. He would be very much interested in sharing solutions for mutual benefits such as exchange in IT-field and use of Ethanol as fuel. I would like to reiterate that I am no expert, but as an observer, I can speculate with confidence that Modi’s foreign-policy may broadly revolve around above stated points.